Trip planning is likely everyone’s least favourite thing about travel (that or long visa application processes), maybe even on par with waiting in endless queues at the airport—or worse—flying for hours in cramped economy seats next to people who take your shared armrest hostage. Between looking for the cheapest flight options, best accommodation deals, and deciding on fun activities, online trip planning can prove to be a long, tedious affair. Lucky for us, we live in an age that utilizes technology to keep our travel plans in order, if not more simplified. Countless digital tools not only keep track of where we’re going and when, but also enhance our travel experience and lighten the load in our luggage by reducing the analog clutter of ticket and itinerary printouts, maps and weighty travel guides we’re so accustomed to carrying in the past. The ubiquity of today’s travel-centric tools and apps might be a little overwhelming for most users. After all, there’s an oversaturation of products geared towards traveller use—so, where do you even start? Google answers this question by giving us a more ideal user experience in streamlining the travel process on our desktops or mobile devices—from planning your trip to being right there at your destination, after your plane lands. Tip: Although we cover general trip planning with Google, you can explore these products further on your own to find even more advanced or hidden functions. The company maintains a blog about its travel products and services so you can keep up-to-date with new releases. Ex. Type “[place name]” + “destinations” in the Google search bar. 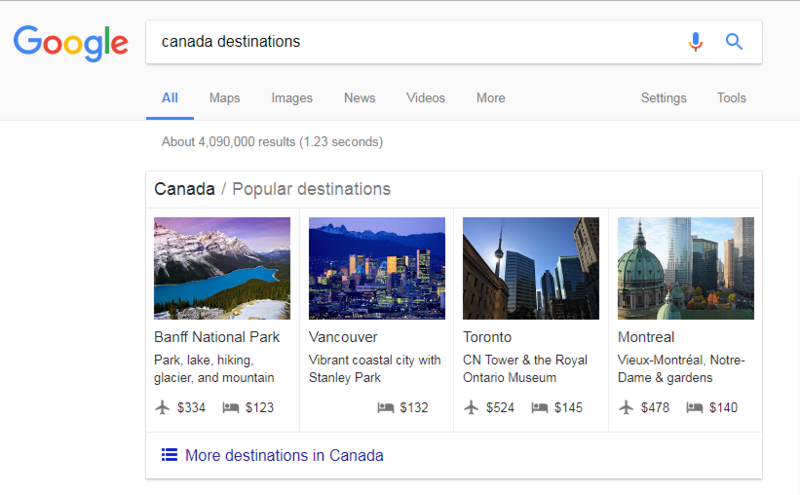 Destinations on Google is a useful built-in feature on the search engine results page. You can search by country, region or city. What you’ll see at the top of the SERP is a snapshot of related destinations, quick overviews, the lowest flight fares, average hotel rates, and so on. Clicking on the “More destinations in [place name]” link will take you to a wider selection of top choices. Here, you can play around with features such as the maximum price you’re willing to pay, top sights you can visit and even follow itineraries suggested by other travellers. This is a good place for the leisure traveller to stop by and do a bit of informative research (in conjunction with these local travel tips) before making any final decisions. Once you’ve figured out where you want to go, you can head over to Google Flights to decide the when and the how. 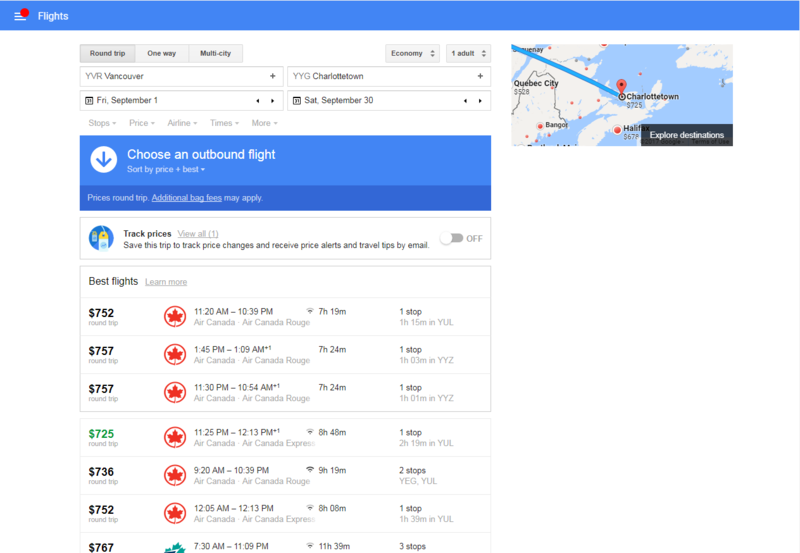 Google Flights allows you to customize your flight search just the way you want it. Once you fill in the required fields, the search results will highlight recommended choices in the Best flights box, based on parameters like price, travel time and amenities. Take note: the most economical option (whether or not it’s considered by Google to be a ‘best flight choice’) will often be marked by a green price tag. Just be wary of the number of stops on that route! You can narrow down your search further by putting a cap on price, setting the number of stops on the journey, selecting specific airlines or airports, and indicating outbound or inbound times. If your travel dates are somewhat flexible, try clicking on the date fields to bring up the monthly view calendar, which displays the lowest rates per day. If you’re simply window shopping for flights, toggle Track prices If you’re logged into your Google account, your trip will be saved in order to track price trends, sending you price alerts about increases and decreases, as well as other tips via email. If you still don’t have a specific destination in mind but would like to travel somewhere (anywhere!) you can try the online equivalent of closing your eyes, spinning a globe on its axis and pointing your finger at a random location: the I’m Feeling Lucky button in the Explore Map will conveniently suggest a ‘random’ destination for you based on your search history and places that are currently trending. For Canadians, it’s often cheaper and more convenient to fly out of the US. Check out some of the airports across the border that you should be aware of as you finalize your flight bookings. This impressively powerful tool has been around for quite some time and it’s certainly here to stay—it’s revolutionized the way we navigate our world, whether back home or while on our travels abroad. Gone are the days of going through the trouble to print out static maps and directions from MapQuest; Google Maps is an intelligent navigation tool that simply requires a few presses of a button! 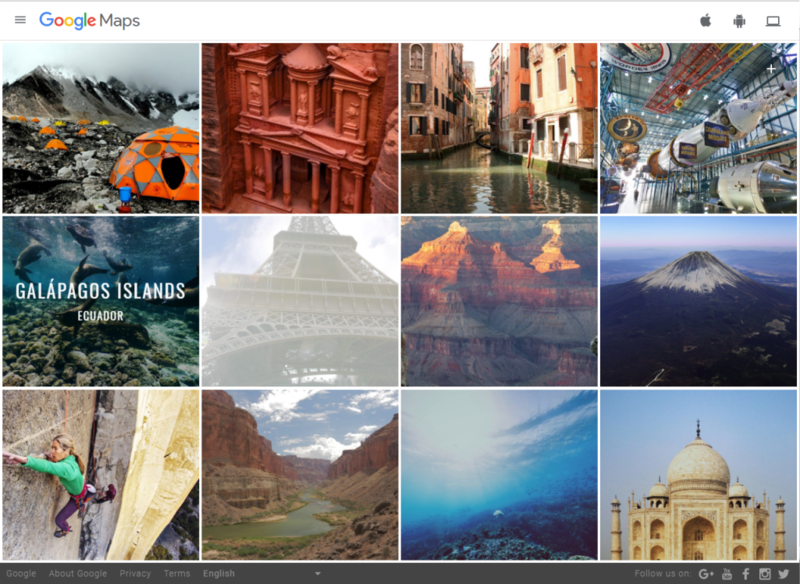 Treks is a new addition to Google Maps’ features, which allows you to explore a hand-picked selection of destinations near and far in ways never before. You can save specific places on the map (by clicking on the ★ icon)—say, if you want to save your hotel location, attractions you want to visit, restaurants or bars you want to try, or simply want to get an idea of the orientation of places relative to the central district or airport. Remember to sign into your Google account first so that it saves these places for later viewing. 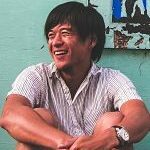 Location sharing (available only on mobile apps) might come in handy if you want to meet up with a fellow traveller while abroad, but aren’t familiar enough with the area to give directions; it might also help solo travellers feel safer by sharing their location with friends and family back home. You can measure the distance between two places by right-clicking on the map and selecting measure distance. You can click and drag as you see fit, and add additional stops on the way as well. If you’re curious about your hotel or Airbnb’s neighbourhood, try looking it up in Street View. You can roam around virtually and check out the vicinity to familiarize yourself with it beforehand. Street View is one of Google’s most-loved inventions. Check out the landing page for a chance to explore the world right from your home—you may even get some off-the-beaten-track destination ideas in the process! Once you’re abroad and want to find out what your entertainment or dining options are, you can type in generic terms like ‘café’ or ‘museum’ or, if you forgot to book one, ‘hotel’. The nearest establishments will appear on the map relative to your current location, and you can head on over to your choices. This is especially good for people who don’t like to pre-plan and go with the flow! If you’re concerned about data roaming charges or having limited access to WiFi, you can download a map of your destination onto your device beforehand, which you can access offline. You can even use it for directions from A to B, so long as the route falls within the area covered by the downloaded map. It won’t account for your current whereabouts while you’re abroad, as this will require you to turn on your GPS settings, but at least you’ll have a digital “paper map” handy in case you ever need it. Remember to do this back home or at a place with WiFi—downloading these maps for offline use will take up bandwidth! Tip: Google Maps’ Treks is a project that will take you to hand-picked destinations around the world, and educate you. Some of these places are a little more inaccessible than others, but it’s nevertheless a great tool for exploration. Launched late last year, Google Trips takes the best elements of Google’s travel products and packages them together into one convenient little app for Android and iOS users. Think of it as an interactive Swiss Army knife-like tool to use after you’ve already left home; one that collects the different stages of your trip-planning process and integrates them in an easy-to-find place. Like Google Maps, you can download information for offline use in remote areas. To fully utilize the app, you can start off by clicking Create trip. If you’re a Gmail or Inbox user, your travel information (tickets, confirmation numbers, etc.) will find their way to the Reservations module for easy reference. And for those who plan things on-the-go or on the spot, Things to do will give you an easy, spontaneous way to plan, well, things to do. You can put a star on these attractions and activities and look them up later in Saved places. Remember when you starred locations on Google Maps? You’ll find them conveniently listed here. Additionally, you’ll be able to look up suggested itineraries (much like Destinations on Google), dining, shopping and transportation info, and even discounts. Tip: Keep in mind that Google Translate is also a useful tool to keep with you in places where language might be a bit of a barrier. Not only can you use to communicate with locals, but you can use it to help you navigate with road and street signs. In a way, Google has put together an accessible, versatile set of tools for the traveller the same way Microsoft had done with its Office productivity suite or Adobe with its Creative Suite; seeing how well these products work together across different platforms does wonders as a modern-day travel planner. The trip-planning stage of travel will always be unavoidable, but that doesn’t mean it has to be tedious. Of course, we still have the option to find ourselves a resourceful travel agent who can do the all the ‘dirty work’ for us, but where’s the fun in that? With so many tools aimed at today’s savvy traveller, our power over travel-planning and customization fits more comfortably than ever in our little pockets (or carry-ons). Do you have any travel-related Google tips and tricks you’d like to share? Or maybe there are apps and online resources that nicely complement the ones we’ve featured. Let us know in the comments below!